We know that when it comes to planning your special day you want everything to be absolutely perfect. No. It needs to be perfect. After all, it is said that your wedding day is one of best days of your life! Whether you are having a big white wedding or not, it is a busy time for you and your partner. You’ve got to choose the dress, which ladies, we know can be a real challenge finding the perfect one! You’ve got to arrange the flowers, sort out the catering, pick out a cake, choose a venue. Not to mention making sure the reception venue and all the details of the ceremony itself are all organised! The list is endless, and that’s what makes it such a stressful time. So, why not let us take some of that stress away from you? We are experts when it comes to design and print, so your wedding is in safe hands! Whether you’re needing order of service booklets, table plans or wedding invites, you can rest assured that we have you covered. We know how important each of these items are to you and how they play a vital part in the run up to and on your big day. Your invites set the tone of the day itself. 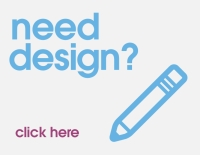 So, leave it to us to help bring your designs to life. At Kaizen, we offer a number of bespoke printing options for wedding invitations. Your invites can be printed on Kraft paper, GF Smith papers, or our very own silk and uncoated card stocks. You also have the choice of standard print finish. Emboss, or foil block. Allow your guests to follow along with the wedding’s happenings with an order of service booklets. We offer a bespoke design facility, so your booklets will look exactly as you want them to. Our order of service booklets can also be printed on GF Smith papers, or our beautiful silk or uncoated card stocks. These are completed with a heavy cover, so your booklets will look (and not to mention feel) amazing. Finally, you needn’t worry about everyone knowing where they are meant to be seated at the reception. When it comes to the table plans you can go big and bold with a mounted plan or stick to a poster style. No matter which option you choose, your guests will know where they are meant to be.